the staff was remarkably helpful and polite with positive approaches to all issues I presented. always effective in arranging trips and providing accurate information on all aspects of Maltese matters. Clean and spacious hotel. I had a room on the north side which had a balcony and a view of the harbour. The breakfast had a good mix of hot and hot food to choose from. Staff were helpful and the hotel has a luggage store ( useful for me as my flight was very late at night) The indoor pool is quite small but a useful addition. The outdoor area had plenty of beds available, with an outdoor bar, also direct access to swim in the sea. I liked it very much and would use it again on future trips to Malta. Where to find San Gwann hotels near an airport? How can I find hotels in different San Gwann neighborhoods? Where can I find hotels in San Gwann that are near tourist attractions? Accommodation choices are in generous supply in San Gwann. For those wanting to stay within a 0.1-kilometre (0.06-mile) radius of the center of San Gwann, Expedia's up-to-date database contains 164 places to stay that match that criteria. 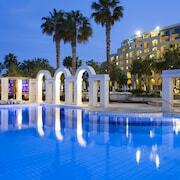 The Hotel Kappara and Sundown Court Leisure Resort are the more centrally located accommodation options in San Gwann. 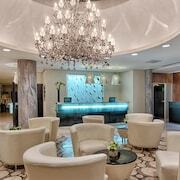 The Palazzo Capua is located 2 kilometres (1 mile) from downtown San Gwann. Or, alternatively, the The Xara Palace Relais & Chateaux can be found 7 kilometres (4 miles) away. 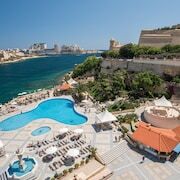 Some more accommodation options in the area include the Hilton Malta and the The Westin Dragonara Resort, Malta. 11 kilometres (7 miles) away from San Gwann you'll find Marsaxlokk, where you can spend the day exploring Peter's Pool and Waterfront Market. The Water's Edge and Sensi Hotel are just some of the Expedia-listed apartment and hotel alternatives in Marsaxlokk. 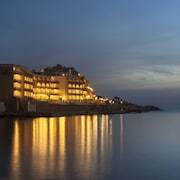 11 kilometres (7 miles) to the southeast of San Gwann, you may also choose to stay at Birzebbuga, which is home to the Cerviola Hotel and Reno's Restaurant & Guesthouse. Whether you're just passing through or staying in Birzebbuga, a couple of sights worth adding to your itinerary are the Ghar Dalam and Għar Ħasan Cave. If you love sports and really like games you might choose to head to Starfish Diving, which is 3 kilometres (2 miles) to the northeast of San Gwann. 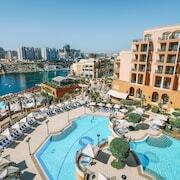 Book accommodation near the action at the Fortina Spa Resort or the Radisson Blu Resort, Malta St. Julian's. Ioannis Daskalogiannis Airport is a nearby airport, and can be found 7 kilometres (4 miles) away from San Gwann. 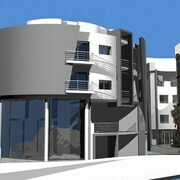 Nearby accommodation options are Villa Del Porto and Jessica Flats. What are the most popular San Gwann hotels? Are there hotels in other cities near San Gwann? What other types of accommodations are available in San Gwann? Explore San Gwann with Expedia.ca’s Travel Guides to find the best flights, cars, holiday packages and more!